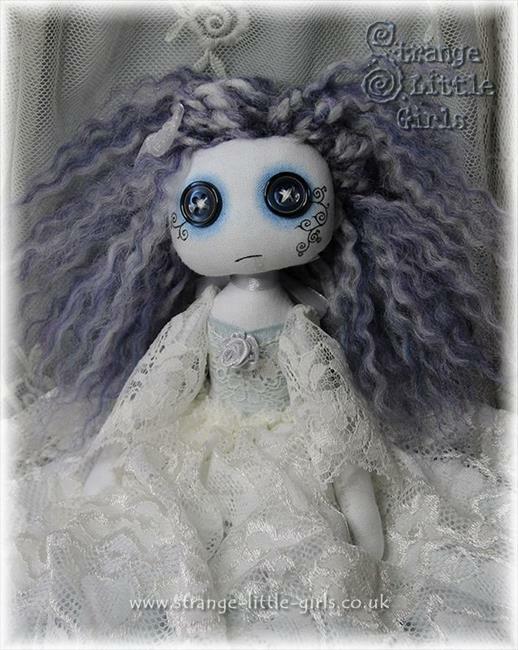 [Sold] This Gothic style, button eyed, ghost doll is hand made from white cotton. She has moveable, button jointed arms and hinge jointed legs. Her face is hand painted in coloured pencil and archival quality ink. 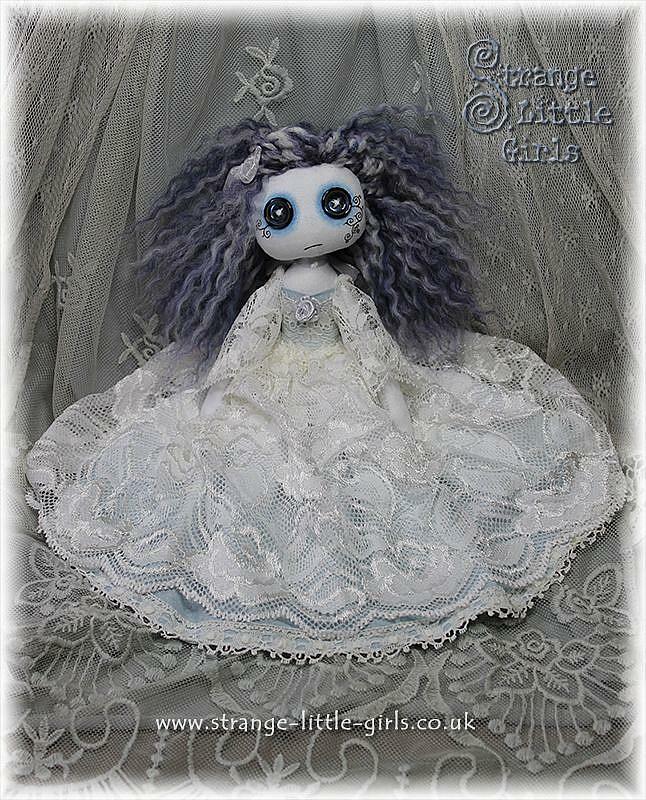 The hair is made from acrylic fibre, which is needle felted in place. 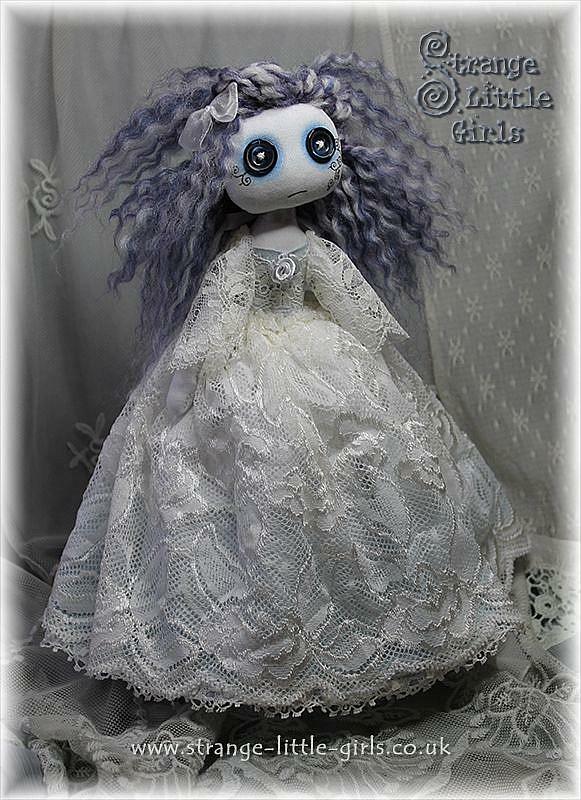 Her dress is made from white cotton, which is hand painted with soft pastels, and overlaid with ivory lace, to create an ethereal, ghost-like effect.